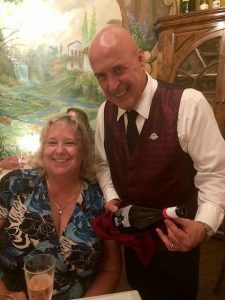 It was earlier this year that I first visited The Winemakers Table in Delray Beach to celebrate my birthday. I had a most wonderful evening which you can read about here if you’d like. 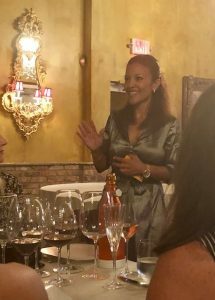 Fast forward to present day, I received an invite to attend an exclusive media dinner to introduce Jessica Scialletti, the new owner of the Winemakers Table. 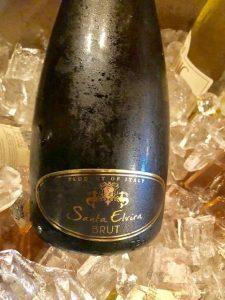 The evening began with a lovely welcome reception with some delicious sparkling wine and appetizers in the Champagne Lounge. Once all the guests arrived, we made our way to the intimate dining room where we continued with our elegant 5 course International Tasting experience. A tantalizing menu was well thought out, prepared and executed by Jessica and her team. 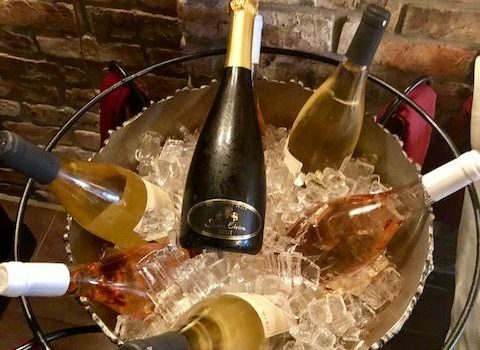 Amongst the newcomers to The Winemakers Table is Executive Chef, Joshua Bradley, who previously worked at Market 17 and Café Maxx in Fort Lauderdale. 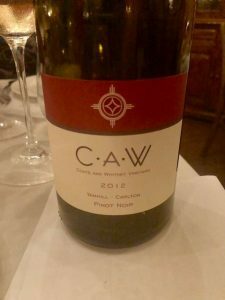 In addition, The Winemakers Table brought on a new Sous-Chef, Patrick Sauveur from France, who previously worked in Marseille at a Michelin-rated restaurant. I have to say that each course was absolutely wonderful. 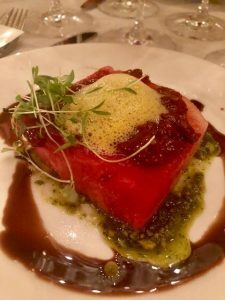 Special honourable mention goes to the watermelon salad with dark cherry balsamic, herb pesto, tomato confit and carrot & orange foam. I fell head over heels in love with their cherry balsamic and became so inspired that I attempted to recreate this in my home. I found a recipe online and improvised using gourmet Amareno cherries from my favorite gourmet market and aged balsamic from The Ancient Olive which I reduced and drizzled over watermelon and also used on top of a pan seared duck breast that I made. 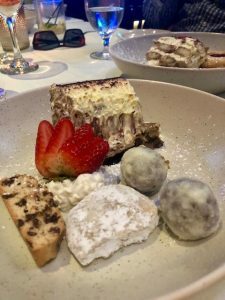 We were in for a really special treat when it came time for dessert; Jessica, the owner introduced a few special desserts from her own Swiss Brand: JesS Art Gâteaux made with European products. The new The Winemakers Table is doing a wonderful job at making guests feel welcome, pampered and fully satisfied. The restaurant serves only Prime meats and the freshest of ingredients. 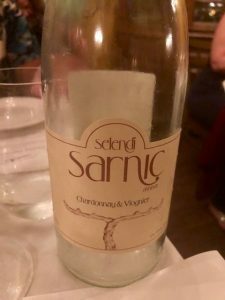 Positive responses are pouring in describing the restaurant as a gem with an ambience that is elegant yet relaxed, with delicious food, wine and attentive service. 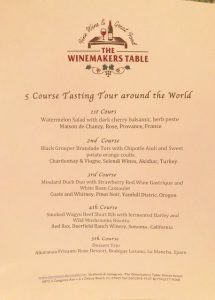 Monthly themed wine dinners are planned. For more information, check out their website and follow them on Facebook and Instagram. 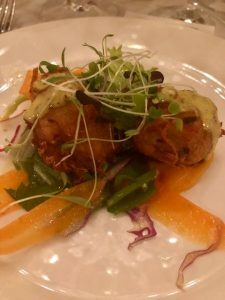 I know you are going to fall in love with the warm and friendly staff and the exquisitely prepared food as much as I have. When you do go, be sure to tell Jessica, Fernando and Chef Joshua hello from Denise from Savor Our City! I feel like another confessional coming on: Forgive me for its been way too long since my last post. Life just has a habit of sometimes getting in the way of keeping my writings as current as I’d like them to be. 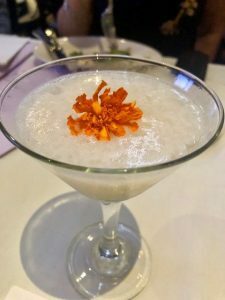 But I promise, as always, to deliver you our latest Food Finds (new restaurant openings, menu updates, food & wine festivals, charity galas, product reviews and recipes, and destination travel). 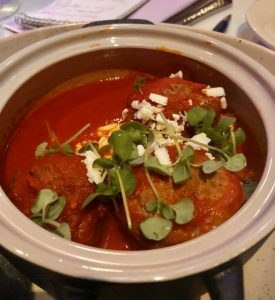 Today’s post is on The Venu (www.TheLocalVenu.com), an upscale and intimate restaurant, bar & entertainment destination that recently opened in Boynton Beach, FL. Open daily from 11am – 3am, offering lunch, brunch (Sundays 11am – 3pm) Happy Hour starting at 4pm and dinner featuring live music throughout the week and every weekend. You can find a complete schedule of all their shows and ticket info on their website and facebook pages. The Venu is outfitted with a 200″ projector screen and a 22′ X 20′ stage and showroom, along with a state-of-the-art sound and light system. Expect to see talent from all over the world playing on this stage, representing every genre from funk and soul to rock, reggae, DJs, comedy, Broadway acts and more. 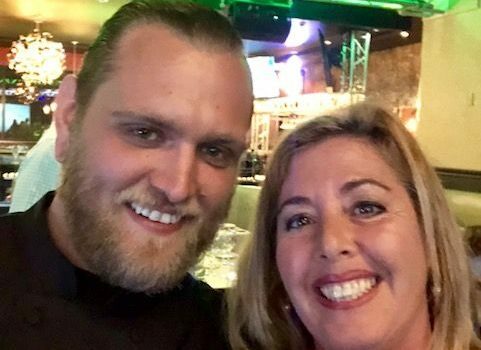 The Venu has brought on Executive Chef Kelley Randall (previously head chef at Vic & Angelo’s and The Office in Delray Beach) to run the kitchen. 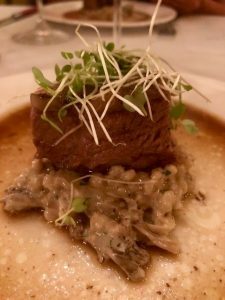 He is a highly regarded and well-known master of inspired farm-fresh cuisine who incorporates locally sourced ingredients to create imaginative menus for lunch, brunch dinner and showtime. All pastas and desserts are crafted in-house daily and all dishes are prepared from the scratch kitchen. Chef Kelley’s take on Italian and modern European fare is highlighted by such signature dishes as the Wild Boar Pappardelle, Frutti Di Mare, Coq Au Vin, 1855 Ranch Ribeye, Stuffed Portabella Mushroom, Waygu Beef Carpaccio, Grilled Octopus, PEI Mussels Provencal and much more including daily specials. 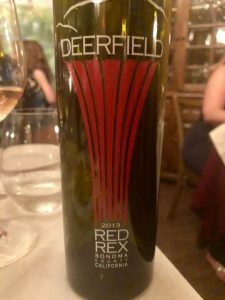 I had the great pleasure of trying several of these and other signature dishes at a recent Media event. 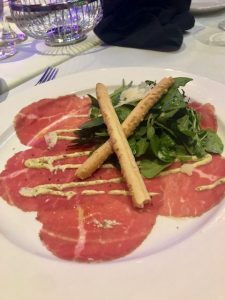 The preset menu was divided into sections: Under “Let’s Begin”, we sampled the Wagyu Beef Carpaccio and the Meatballs Al Forno. Every well thought out component came together to create a harmonious dish. The Wagyu beef just melts in your mouth and the fried caper aioli provides an added layer of umami. By the way, in case you didn’t know what grissini was when you were reading my description up above, do not fret; I didn’t either, so I looked it up and here’s what it is: breadsticks, lol! Thin crispy Italian breadsticks. It wasn’t but a few months ago that I tried bison for the first time on one of our tours in Sanford where I had the most delicious bison burger at The Smiling Bison. 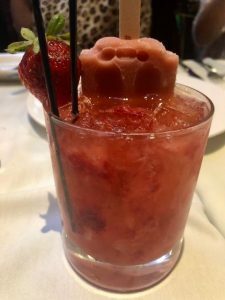 So I was super excited to see this meatball at The Venu contained bison in their mixture. The meatballs were delicious there’s no doubt about that, although I don’t know that I could really detect the bison. Moving on to the next section, under “Greens” we got to try their Pear & Cream and House Crafted Pasta. 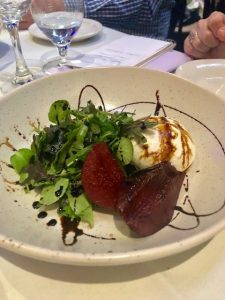 This whimsical salad was filled with my all time favorite cheeses, the burrata. I swear, if you’re anything like me, once you try burrata, it’s hard to go back to regular ol’ mozzarella. It is the king of all mozzarellas in my humble opinion. Anyway, I must say this dish was creatively assembled; never before had I seen poached pear served with burrata. Each of the items on the dish was treated with finesse while the balsamic drizzle brought them all together harmoniously. My favorite dish of the evening was this wild boar pappardelle. From the moment it was placed in front of me, the waft of orange zest made it’s way up the olfactory, tingling and tantalizing my tastebuds beckoning me to consume my first bite. O-M-G! 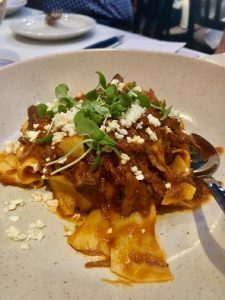 The boar was so tender and flavorful and the pappardelle was cooked to perfection. The saltiness from the feta was a unique and welcome addition as well. You must try this dish. Under the “Paramount” section, we were given the Seared Sea Scallops and Chicken Francaise to try. Did you know that summer carrots are sweeter than fall carrots? Neither did I. I learned this fun little fact from Chef Kelley when he introduced the dish. 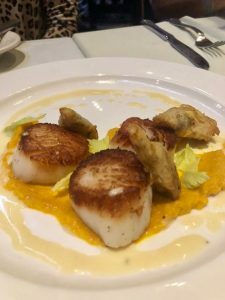 The sweet carrot puree was a terrific choice to accompany the perfectly cooked scallops. 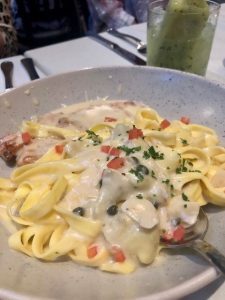 This dish was rich and contained all of the key components of a classic Chicken Francaise plus some original nuances such as the fried artichoke hearts, adding yet another flavorful dimension. 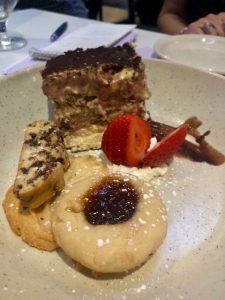 The tiramisu served at The Venu was one of the most delicious tiramisu’s that I have ever had. Great job guys! What a night, I tell ya. I hope I have given you some ideas on what you would like to try when you visit. 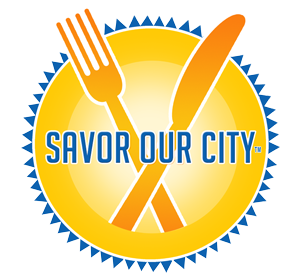 When you do go, be sure to tell Chef Kelley that your friend Denise from Savor Our City sent ya.